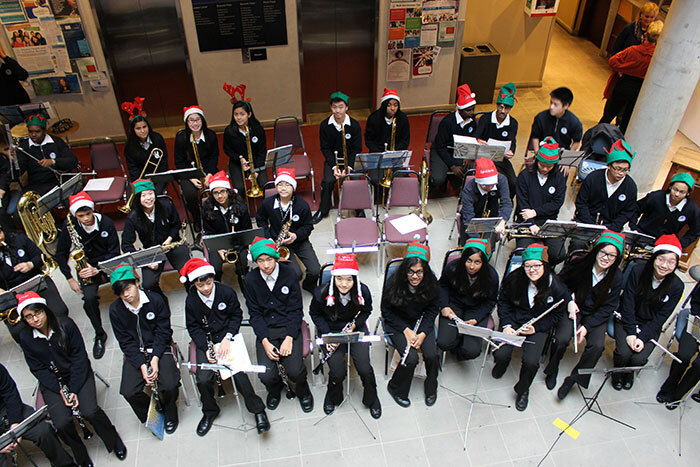 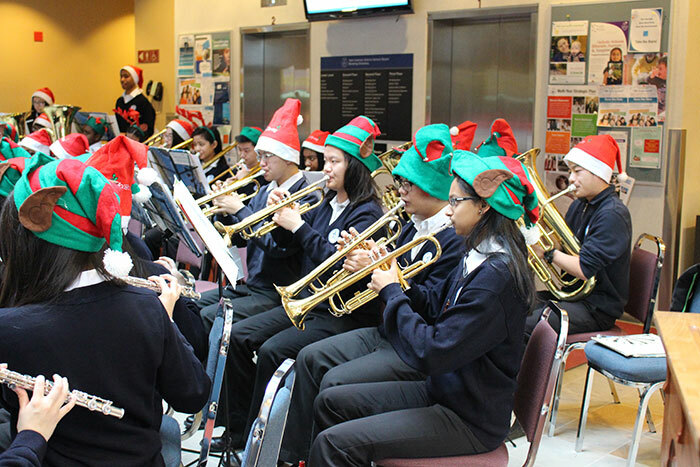 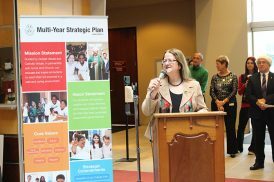 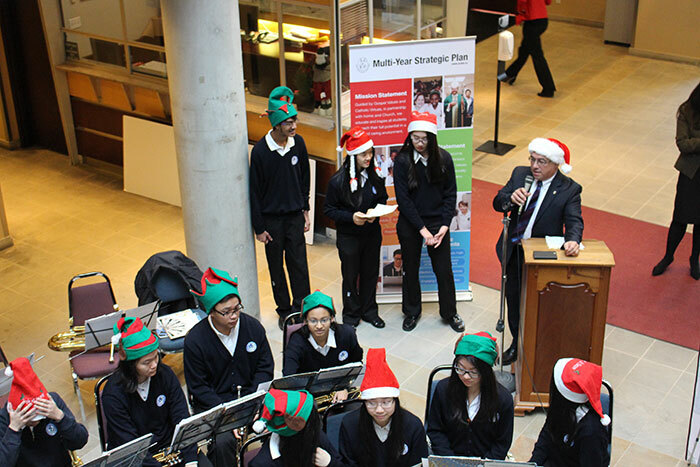 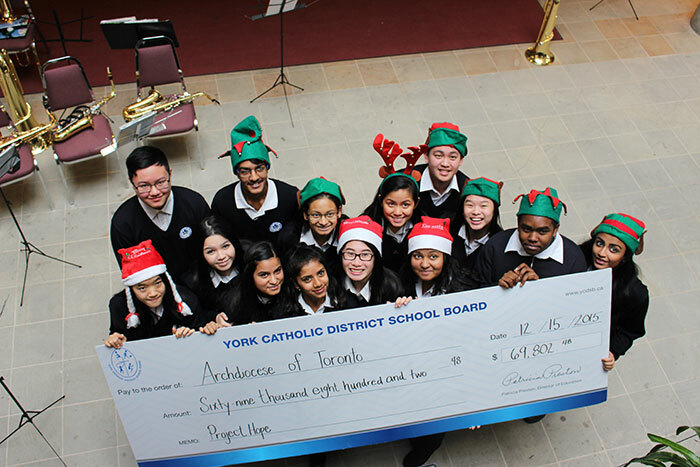 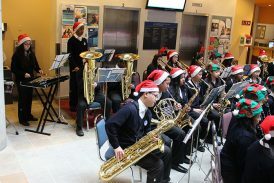 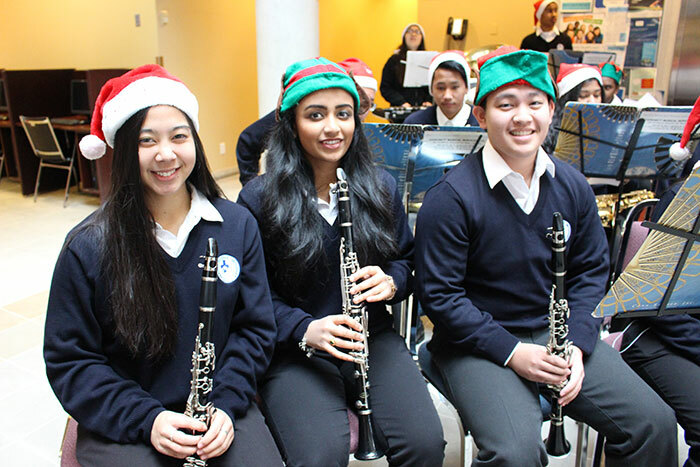 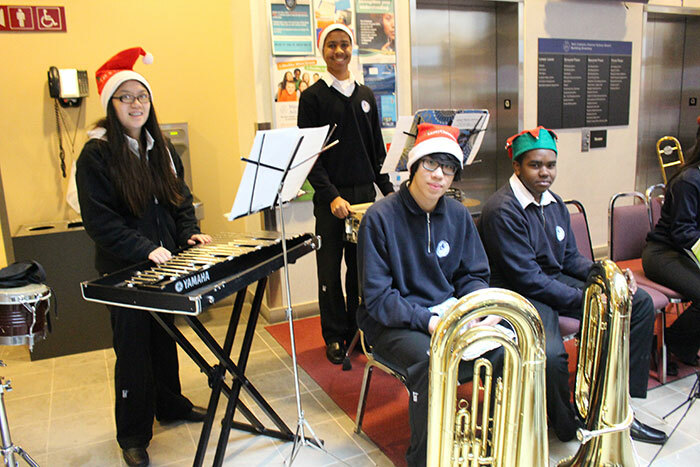 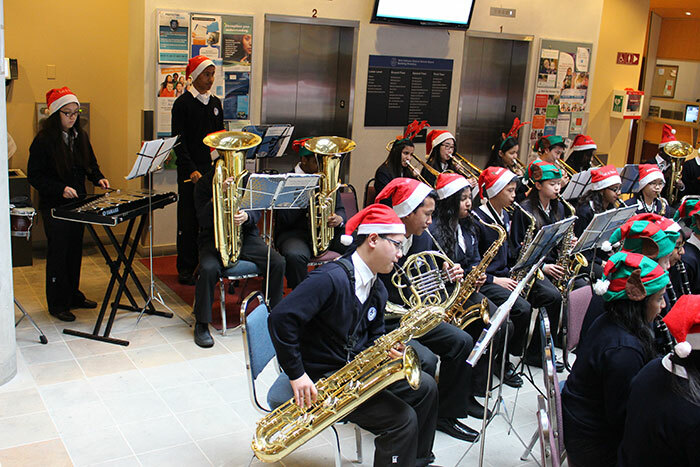 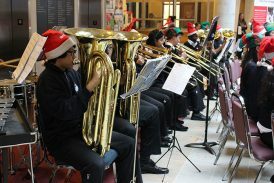 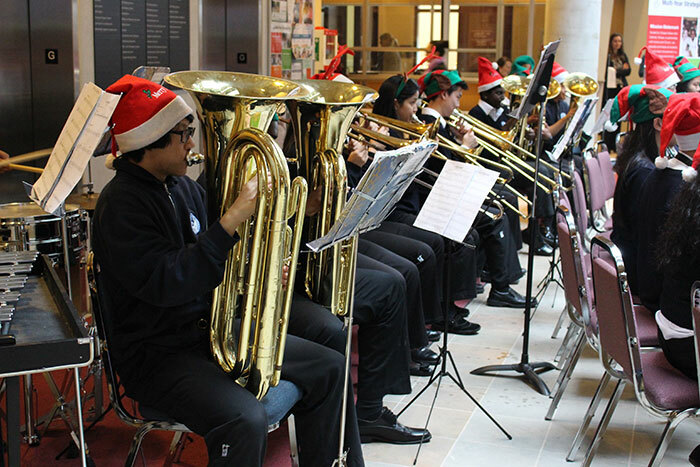 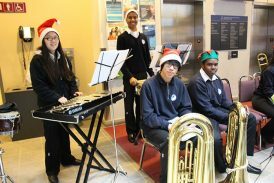 On December 15th, Patricia Preston, Director of Education for the York Catholic District School Board announced that it raised $69,802.48 through its schools and offices for the Archdiocese of Toronto’s Project Hope campaign. Project Hope is the Archdiocese of Toronto’s Emergency Refugee Resettlement Campaign that was launched in September 2015. 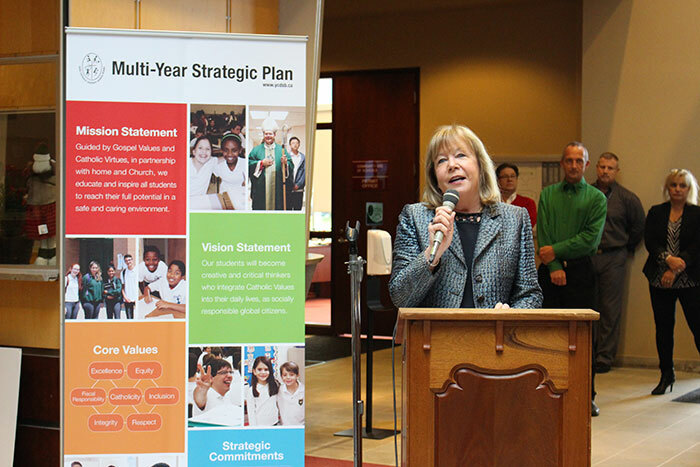 Its aim was to raise $3 million within 100 days so that 100 refugee families could be resettled within the Greater Toronto Area. 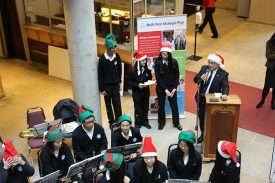 Patricia Preston and Carol Cotton, Chair of the Board, presented Arthur Peters, Director of the Development Office at the Archdiocese with a cheque, following an outstanding performance by the Father Michael McGivney Catholic Academy band that was playing in the CEC’s Advent Concert Series. 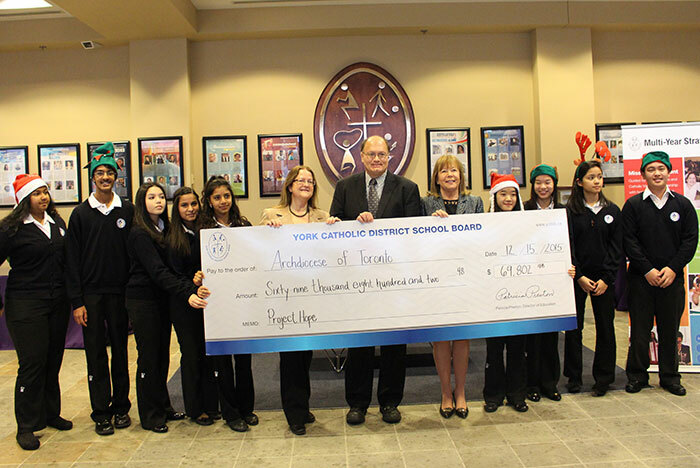 Students from the Markham high school also participated in a photo-op presentation of the giant cheque. 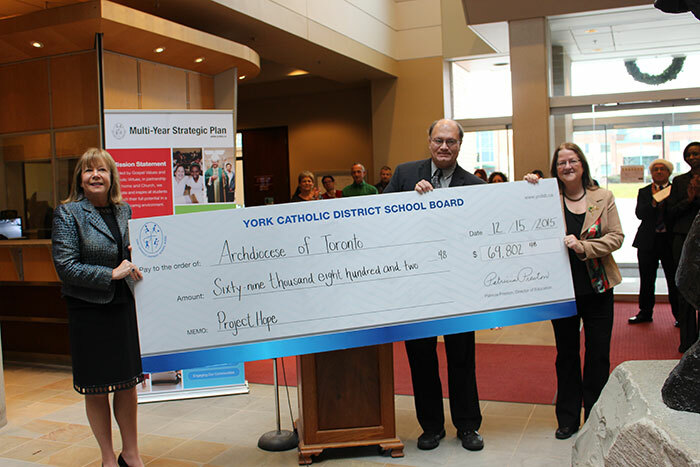 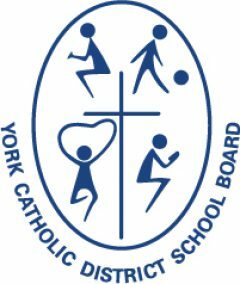 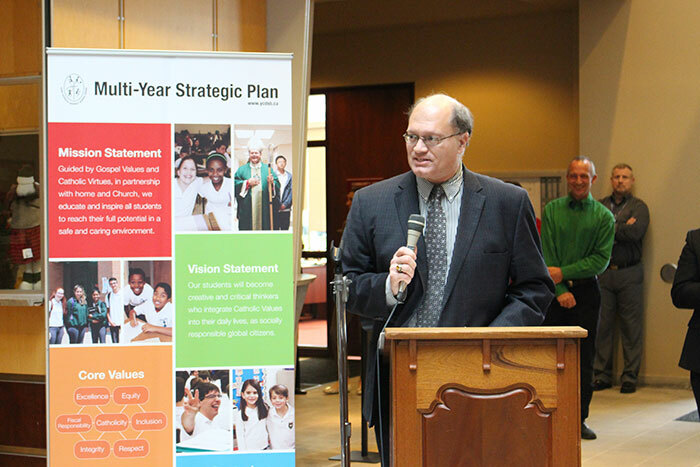 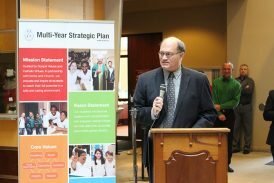 Arthur Peters thanked the Board for its generous contributions, and stated that York Catholic has made the largest contribution of money for Project Hope among the six Catholic school boards that fall within the Archdiocese of Toronto! He also hinted that the money raised from York Catholic will help the Archdiocese with its overall goal of raising $3 million dollars, which will be announced on December 18th.